The craft day was a big success and will definitely be happening again shortly. I began my embroidery (I managed to transfer the design to calico by holding it up to the window, thanks for the suggestion!) but discovered rather rapidly that I need practise and lots of it! I abandoned the embroidery and moved onto knitting. 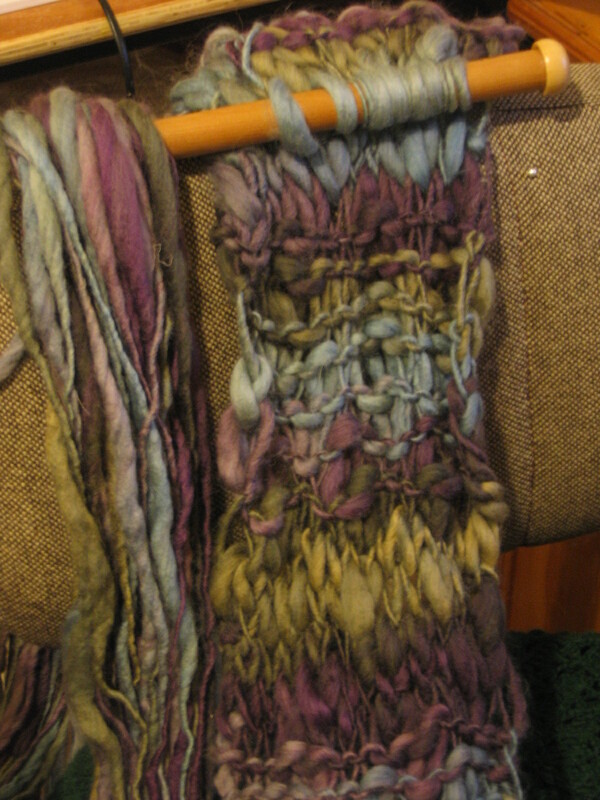 My scarf is almost complete- I cant believe that after procrastinating for so long that the thing is more than half complete in a few hours- and below is an ‘in progress’ photo taken in really bad light.